This is a question that lab managers or technicians may find themselves asking every so often. Usually the question comes up during or just after chaos or a crisis in the laboratory. There's some "he said / she said" after samples were tested incorrectly, or maybe there was a large spike in testing volume that the lab had trouble keeping straight. Many labs have been there at one time or another, and when it's fresh on our minds, we find ourselves very motivated to think of ways to prevent it from happening again. 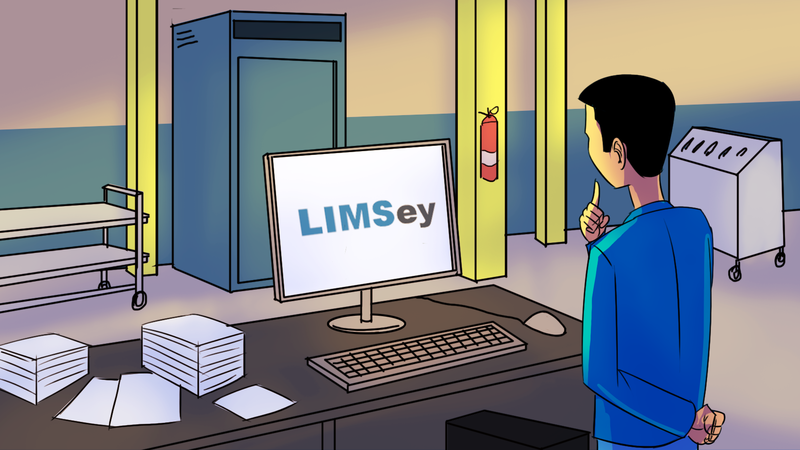 No matter the reasons, asking if you need a LIMS is certainly a question worth asking. Just like most other worthwhile questions, the answer is "it depends." Your current methods are working fine. Sticking with simple tools like word processors, spreadsheets, and simple databases are often good enough. Not only that, simple tools have benefits of their own. They're usually inexpensive, free, or included with other tools you've already paid for. If cost-savings are a big issue for you, this can be the deciding factor. Another benefit is their flexibility. In the case of spreadsheets and word processors, the ways you can format and organize them to your liking is pretty much limitless. While a LIMS can be a great tool, sometimes it's okay to stick with good enough. Very few people need access to data. Between management, technicians, and customers, the number of people accessing or viewing lab test results and data can vary wildly across labs. The fewer the people needing access, the easier it can be to maintain clear and up-to-date records for everyone in the loop. There are fewer test status questions, fewer people to train on how to access data, and less chance of someone losing or modifying data by accident. Very low sample and testing volume. The primary function of a test lab is to perform tests on samples, and when there's not that many of either, it's not as difficult to keep them all straight and on schedule. If your lab has very low volumes and there's never questions about where samples are or when testing is going to be completed, it may not be necessary to invest in a LIMS to help with test and sample management. Your current methods are falling short. Your tried-and-true tools are beginning to show their weaknesses. Don't worry, that's a good thing! It can mean your lab is growing or you're understanding your process and your needs better. Reaching this stage as a lab can be very helpful when selecting the right LIMS for your needs. Understanding the weaknesses of your current system can show you exactly where a LIMS can help pick up the slack. At this stage it might sound appealing to look for an "all-in-one" and "do-absolutely-everything" solution for your needs, but proceed with caution. Such solutions sound great in theory, but don't often translate well into practice. With their increased complexity, they can be inflexible, expensive, and difficult to use or learn. It can be more effective to first consider the shortcomings of your current system (which is why you're considering a LIMS in the first place) and go from there. Multiple people need access to data. As more people need access to testing results, statuses, and data, the need for a LIMS can increase dramatically. Depending on your current system, there may be multiple versions of the same data, lost or misplaced test results, or even overwritten results. Things can quickly get chaotic and having one central location for lab data begins to makes a lot of sense. Having a single place where managers, technicians, and customers can access testing information can really help streamline communication about lab activities and eliminate uncertainty about testing statuses. Higher sample volume and testing volume. As volumes increase, it becomes difficult to keep everything organized effectively. Have we received those samples yet? When are these tests supposed to be completed? When is that equipment going to be available? Questions like these, and many more, can get asked constantly. It's these sorts of questions that a LIMS can really help answer. A LIMS can be a very effective tool for organizing your process, assigning work, scheduling, and answering the many questions labs receive. You need powerful features like dashboards, search, or scheduling. Many simple or homegrown solutions break down when it comes to needs like these. It's not that these kinds of features are impossible to duplicate, but they're usually an afterthought... if they even exist at all. In lots of cases, lab personnel have to manually sort through computer directories or even paper files to collect and group data to create a dashboard or a schedule. As priorities and schedules change, these manual creations quickly fall out of date and are never updated or looked at again. A LIMS can be a refreshing solution to these problems. Most LIMS will have these sorts of features built-in, and they're always up-to-date with the latest information. A LIMS can certainly be a help to any lab, but it's important to understand your lab's current process and needs. If your current way of doing things doesn't have any big deficiencies, it may not make sense for you to change over to using a LIMS. As they say, if it ain't broke, don't fix it. However, as your lab grows or you find yourself needing more powerful tools to organize, access, or share your lab's data, then it's probably a good time to start thinking about a LIMS and the problems you'd like it to help solve.